Entertain yourself and your friends while warming by the fire! These human skill fire logs are a little different and sure to shock! What a great way to keep other campers at a distance. 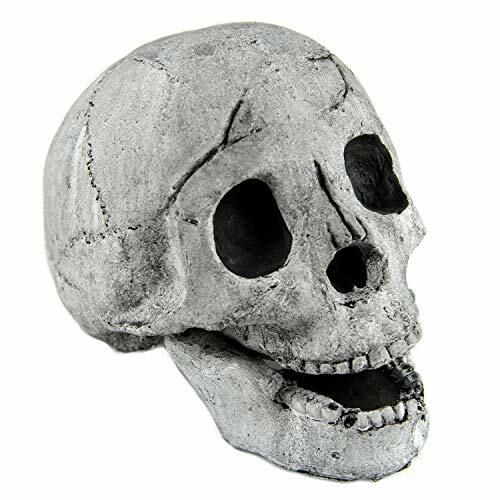 Steel reinforced and made from weather proof materials, these skulls will keep your fire burning for hours. Make your next fireplace burning, campfire, Halloween party or barbecue unique and memorable with these crafty skull fire logs. ▼ 10 LB Heavy Duty! Handmade, longer Lead-Time. ▼ Dimensions: About an adult skull. Averagely, the length is 8-9 inches, width is 6.5-7.5 inches. Heavy. Highly detailed, hand painted refractory fire log.